The good thing about starting a bed and breakfast is that it doesn't need to cost a great deal to setup compared to many other businesses, particularly if you have a house that's big enough already. If you don't, then getting the funding for the property becomes part of an overall business plan that should be your starting point. Funding opportunities vary for B & B's and you need to find out how much money you will require to finance the project for the first five to ten years. If you are moving home as part of the dream, then find out how much you are likely to get for your current property and how much you need to pay back to your lender. Add in any other money that you are prepared to commit to the project, from savings or other avenues, and that will give you a figure for the amount of capital you will have to play with. One of the most popular funding options, particularly if you are buying a property as part of the business startup, is to raise a mortgage against the value of the property. Now that you know how much money you can put into the project, you then need to work out how much you will need to borrow. Add the property cost into the mix and get quotes from a number of builders to find out how much money you will need to spend on modifying the property, if that's required. Remember that you will need to assess health and safety and disability access regulations to work out what needs to be done, the kitchen might need some work to make it acceptable to the local authorities, for example. Also most B & B's these days really need to be en suite if you are going to attract good clients. If your seed capital is quite high, then you may be able to borrow more money than you need for the property purchase, and the extra can be used to finance any building works that you might need to do as a result of your assessment. But be careful not to over borrow as you may leave yourself at risk if a season doesn’t deliver the number of customers you need to survive. 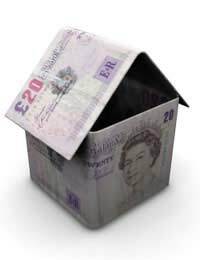 Most of this also applies if you are already in a suitable property, although of course you will be re-mortgaging to get the money to convert the property. Be careful to inform your borrower that you are going to be running a B & B because you could be in trouble if they find out later and you did not declare it. Funding opportunities are also available elsewhere. Business loans from banks may well deliver the money you need although the approach will be different. You will need to supply a solid business plan that will include estimated accounts that show the money you need to pay out each year and projections for how much you anticipate coming in, both optimistic and conservative. This will be subject to exacting scrutiny so you need to make sure it is all watertight and that you have thought of every possible expense. But assuming the figures add up and the bank believes that the market is there, then they should lend you the money.